Undoubtedly, transformers toys and models became the hottest collection item last year following the release of the movie Transformers. If you ask me what will be a hit this year; without hesitation, I say it is definitely Fuwa. 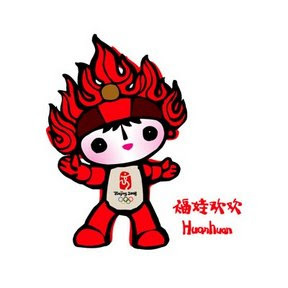 Fuwa are the official mascots of Beijing 2008 Olympic Games. ‘Fu’ means ‘good luck’ and ‘Wa’ means ‘doll’ respectively in Chinese language. Putting the two words together literally means ‘Good Luck Doll’ in English. They carry a message of friendship and peace from China to children all over the world. They were unveiled in November 2005 in a ceremony marking the 1000th day before the opening of the games. Fuwa consists of five members. Each of the Fuwa has his or her own name. All the names are of rhyming two-syllable, which is a traditional way to express affection for children in China. Their names are Beibei, Jingjing, Huanhuan, Yingying and Nini. When put together, they sound identical to the phrase ‘Bei Jing Huan Ying Ni’, which means ‘Beijing Welcome You’. Besides, the mascots also represent four of China’s most popular animals, i.e. the fish, the Giant Panda, the Tibetan Antelope and the swallow. 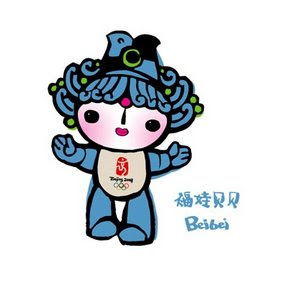 Without further ado, let me introduce you to every member of Beijing Olympics mascots. Beibei is a fish. In traditional Chinese culture, fish is the symbol of prosperity. A fish is also a symbol of surplus, which usually means another good year ahead. Her headgear represents the element water, in which the design is taken from well known Chinese paintings of the past. Among Fuwa, Beibei is known to be gentle and pure. She represents aquatic sports and the blue Olympic ring. 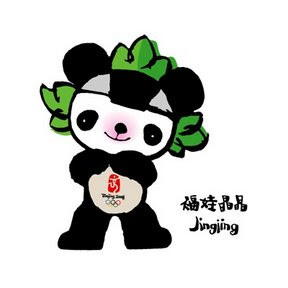 Jingjing is designed based on the Giant Panda, one of the endangered species in China. He makes children smile, which is why he represents happiness. The lotus designs of Jingjing’s headgear are inspired by the porcelain paintings of the Song Dynasty. It represents the element wood and symbolizes the harmonious relationship between humankind and nature. Jingjing is honest and optimistic. He is an athlete in weightlifting, judo, taekwondo and other sport events which strength plays a major part. He represents the black Olympic ring. Huanhuan is the big brother among Fuwa. He symbolizes the Olympic Flame and thus represents the element fire. Huanhuan represents the passion for sports and the Olympic spirit of ‘faster, higher and stronger’. His headgear comes from a fire design in the Mogao Grottoes, located southeast of Dunhuang in Gansu Province, China. Huanhuan is extrovert, outgoing and enthusiastic. 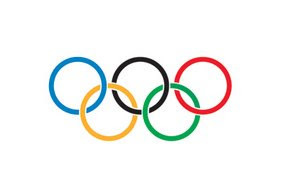 He is doing well in all the ball games and represents the red Olympic ring. Yingying is a Tibetan antelope, an endangered species native to the Tibetan Plateau. Known for his swiftness, Yingying is strong in track and field events. 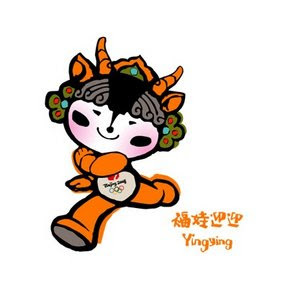 The selection of Tibetan antelope in the design reflects Beijing’s commitment towards Green Olympics, and thus Yingying also represents the element earth. His headgear incorporates several decorative styles of Tibetan and Xinjiang ethnic costumes. Yingying is a lively and agile boy and he represents the yellow Olympic ring. 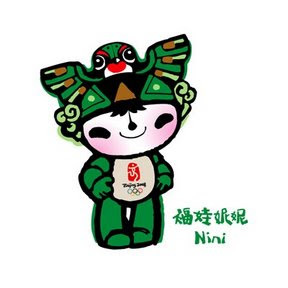 Nini’s figure is designed from swallow, a messenger of spring and happiness in Chinese culture. Besides, swallow is also seen as a symbol of blessing and good fortune. Her headgear is based on the design of Beijing’s Shayan kite, played by the children of Beijing every spring and summer. So, she also represents the element sky. Among Fuwa, Nini is innocent and joyous, like swallows. She is strong in gymnastics and represents the green Olympic ring.